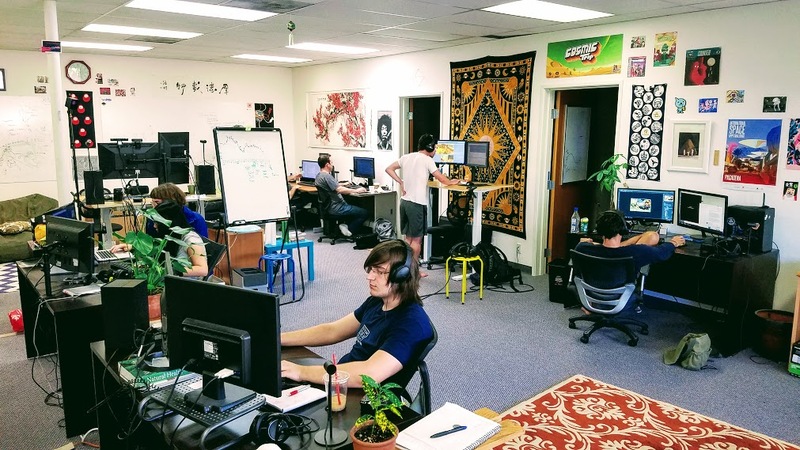 Funktronic Labs is a studio that focuses on delivering creative experiences through games, VR/AR, and other interactive media. We're all about creating magical interactive experiences through the intersection of art and technology. We're focused on the bleeding edge of research and technology to expand what's possible. We are highly passionate humans driven by our love for fun games and quality experiences. Our goal is to instill a sense of wonder and to transport the mind into funkadelic majestic lands. Race a space taxi around Starbear’s tiny, futuristic city to deliver busy bear passengers to their destinations in VR! Build and command an army of robots while fighting against hostile enemies on strange alien planets in VR!